WHAT ARE THE HEALTH RISKS ASSOCIATED WITH ASBESTOS? If left undisturbed and well-maintained asbestos-containing products generally don’t pose a health risk. However, if these products are disturbed and fibres are released during a renovation, a knock-down-rebuild or the redevelopment of an old fibro home site, this is when health risks can occur because asbestos fibres are released that can be inhaled. Inhaling asbestos fibres can lead to asbestos-related diseases including mesothelioma, asbestosis and lung cancer. There is no cure for mesothelioma, a cancer that can develop between 20-50 years after inhaling asbestos fibres. WHY DO TRADIES NEED TO KNOW ABOUT ASBESTOS? Domestic properties built or renovated prior to 1987 WILL contain asbestos in some form or another. To prevent unnecessary exposure to asbestos fibres, it’s vital that tradespeople working on homes and properties ensure they know where asbestos might be located and the steps to take when asbestos might be present to manage it safely in the workplace. All tradespeople must to be aware of asbestos and know the key steps to managing it safely should they come across it in the workplace specifically; in homes, buildings including garages, carports, outside toilets, farm structures and in commercial properties if constructed or refurbished before 1987. HOW COMMON IS ASBESTOS IN AUSTRALIAN HOMES? One third of Australian homes contain asbestos. Asbestos was used in the manufacture of a broad range of products. It could be anywhere! Under floor coverings including carpets, linoleum and vinyl tiles, behind wall and floor tiles, in cement floors, internal and external walls, ceilings and ceiling space (loose-fill insulation), eaves, garages, roofs, around hot water pipes, fences, extensions to homes, garages, outdoor toilets, backyard and farm structures, chook sheds and even dog kennels. Without knowing what these types of asbestos-containing products might look like, where they’re likely to be located or how to manage and dispose of asbestos safely, Tradies could be putting their lives, the lives of their colleagues, families, friends and clients at risk. WHICH TRADIES AND WORKERS ARE MOST LIKELY TO COME INTO CONTACT WITH ASBESTOS ON THE JOB? Trade Specific Checklists have been created for the below tradies who may come in contact with asbestos containing materials as part of their trade. To access the checklists click here. Which other trades may come in contact with asbestos in their workplace? What other workers might be affected by asbestos fibres? In the case of natural disasters such as floods, bushfires and hail storms, emergency service workers and volunteers may encounter damaged ACM and other asbestos-containing materials. This group includes emergency service workers, police, ambulance, Rural Fire Service, Fire and Rescue workers, media and volunteers. WHEN DOES ASBESTOS BECOME DANGEROUS TO PEOPLE IN THE WORKPLACE? Fibres that become airborne and breathed in can cause asbestos-related diseases including mesothelioma, lung cancer, plural disease and asbestosis. Asbestos fibres become airborne when asbestos containing materials are damaged or broken, cut, drilled, sawn, sanded scraped, waterblasted or disturbed during demolition. Using tools, particularly power tools which can release a high concentration of fibres into the air that can be inhaled. There are two types of asbestos building materials are: “non-friable” and “friable”. Products containing non-friable asbestos can be found anywhere! Common uses in residential buildings include: asbestos cement (AC) sheeting (fibro) which may be flat or corrugated and used internally and externally as roofing, fencing, wall and floor coverings, for water drainage and guttering, flue pipes and in wet or high temperature areas. Asbestos products don’t need to be removed if sealed, in good, stable condition and left undisturbed, because they are unlikely to release dangerous fibres posing health risks. Contact Council, NSW Fair Trading Asbestos Task Force or the ACT Government’s Asbestos Task Force to check if a property might be located in an affected Council region before entering ceiling or sub-floor space! Do not enter ceiling space or subfloor areas if a home is located in council regions that have been identified as loose-fill regions. 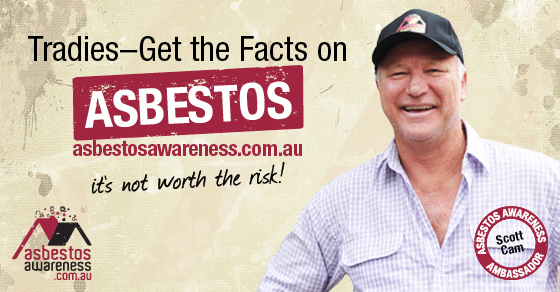 Contact the local Council, NSW Fair Trading or ACT Government Asbestos Task Force. A workplace is a place where work is carried out for a business or undertaking and includes any place where a worker goes, or is likely to be, while at work. A workplace may be a home or property that is undergoing renovations, maintenance or demolition. A worker may be an owner-builder, DIY renovator, handy man or a tradesperson engaged to conduct work on a domestic property. It’s vital that anyone working on domestic properties learn to identify areas where asbestos might be located and how to manage it safely and it’s recommended that Tradies and handymen undergo Asbestos Awareness and Management training. DO TRADIES NEED A FORMAL ASBESTOS REGISTER AND MANAGEMENT PLAN WHEN WORKING ON RESIDENTIAL PROPERTIES? Only when a premises has been defined as a workplace. For more information contact the Council or State or Territory Government to find out if you need to have a formal Asbestos Register and Management Plan. ARE THERE LEGAL REQUIREMENTS FOR MANAGING ASBESTOS SAFELY? Yes. There are legal requirements regarding asbestos management, its removal and disposal which can vary from state to state. Be sure to check with Council or the relevant State or Territory Government for legal requirements. While some Tradies might follow the regulations and safety requirements to remove small amounts of asbestos, the safest way to manage its removal is to retain a licenced professional asbestos removalist equipped to protect those living and working on a residential property from the dangers of asbestos dust and fibres. It’s vital that Tradies manage asbestos safely and follow the regulations in each State and Territory. There are potential clean-up costs and reputational damage that can be caused if asbestos is mishandled or if asbestos materials are illegally dumped. WHO SHOULD REMOVE AND DISPOSE OF ASBESTOS-CONTAINING MATERIALS? If asbestos products need to be removed, it’s recommended that Tradies use licenced asbestos removalists trained to remove and dispose of asbestos safely. The cost of engaging a professional licenced asbestos removalist is comparable to other licenced tradespersons including electricians, plumbers and tilers. Which Licenced asbestos removalists should remove asbestos materials? There are 2 types of Asbestos Removal Licences: Class A and Class B. Class A Licence can remove all types of asbestos including Friable (crumbly material). Class B Licence can only remove non-friable (solid) asbestos materials. Regulations about asbestos removal vary from state-to-state. Contact the regulator in your State or Territory to ensure you follow regulations. HOW DO TRADESPEOPLE KNOW IF A PRODUCT OR MATERIAL CONTAINS ASBESTOS? You can’t tell if a material contains asbestos just by looking at it. Only testing by a NATA accredited testing facility can determine if asbestos is present. If you’re not sure if a product may contain asbestos, treat it as if it is asbestos and take all the appropriate precautions. Although a complete ban on asbestos came into force in Australia in 2003, prior to that there were hundreds of products used in the building and refurbishment of many homes built or renovated prior to 1987. Even older homes and properties built prior to the mass production of asbestos products might contain asbestos. 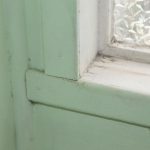 In these properties asbestos may have been introduced when new floor coverings were laid, bathrooms re-tiled, insulation, hot water systems, electrical meter boards, roofing and plumbing were installed or replaced. The erection of garages and carports constructed from AC sheeting was also common for older properties as car ownership became more common. Although only scientific testing of a sample can confirm if asbestos is present in these building and decorator products, there are still some tell-tale signs that asbestos might be present that Tradies should look for. 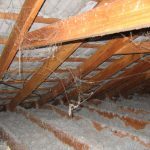 Checkout the online Asbestos Product Database featuring photographs of various asbestos containing products commonly found in homes. Watch a short video, Asbestos in the Home: The Ultimate Renovator’s Guide that takes you through a typical Aussie home to demonstrate where and what to look for. WHAT IS THE RESIDENTIAL ASBESTOS CHECKLIST FOR TRADIES? The Residential Checklist for Tradies – A Tradesperson’s Guide To Asbestos-Containing Materials In Domestic Properties is an easy-to-follow guide on what to look for in residential properties. The Guide helps Tradies identify the many products that may contain asbestos by takes them through a property one area at a time providing a Checklist of the possible locations where asbestos may be found. Each checklist provides images of possible products and locations. To conduct a Residential Checklist for Tradies doesn’t take long but it will help Tradespersons identify possible risks so asbestos can be managed safely. Tradies will find a User Guide and a variety of Checklists available online that can be downloaded including Total Property Checklists and Trade Specific Checklists for multiple trades. HAVE YOU BEEN EXPOSED TO ASBESTOS FIBRES? The Australian Federal Government has created a register to record the details of members of the community who think they may have been exposed to asbestos. If you think you may have been exposed to asbestos fibres either during the course of your employment, at home or in the community, please register your details online.